Convened by: Birkbeck Sport Business Centre, and Sheridans law firm. From the public’s perspective, being a (player) agent (or as they are now called ‘intermediaries’) appears to be a glamorous, high profile and highly lucrative profession for what some think is very little work or effort. They are also frequently portrayed in the media in a very negative light, as the curse of the modern game, viewed as the party driving transfer prices and wages up or down, depending on their client’s priorities. However, is this a fair, or accurate, assessment? Is it, in fact, the case that agents play an essential, and indeed critically important, role in the efficient operation of the labour market that delivers the engrossing spectacle that is modern football? In this panel discussion Matt Kleinman from Sidekick Management, an FA intermediary with 18 years worth of experience as a football agent, and Daniel Geey and Chris Paget from Sheridans, one of Europe’s leading sport law practices, will make the case for the benefits that football agents contribute to the football industry. They will argue that the best agents are highly trained negotiators, impressive networkers, and provide critical connections to clubs across the globe who lack the technical infrastructure to carry out this function themselves, and that through their work they serve to ensure the efficient allocation of player talent across the football industry. Daniel and Chris are part of the Sheridans Sports Group legal practice and both work extensively advising clients in the broader entertainment and specific football industry on a range of matters including commercial arrangements, representation agreements, transfers, contract re-negotiations, disputes and image rights deals. The panel will offer the audience an insight into the type of work agents and their lawyers do for players on a day to day basis and the issues that arise. Daniel’s practice focuses on helping clients in the sports sector, including rights holders, leagues, governing bodies, clubs, agencies, athletes, sports technology companies, broadcasters and financial institutions.Daniel has significant experience in the football industry and has worked on a variety of club takeovers, high profile transfers, commercial endorsement deals and disputes.Daniel also works in the wider entertainment industry advising on competition and anti-trust matters. Matt Kleinman is professional FA intermediary and published author with over 18 years worth of experience as a football agent. Matt has represented a number of Premier League and international players such as Adam Lallana (Liverpool and England), Lucas Radebe (Leeds United and South Africa), Mark Fish (Charlton and South Africa) and Mattias Kait (Fulham and Estonia). In that time, many of the players that Matt represented have moved on to become top level coaches and managers. He boasts a wealth of expertise in contract negotiations, player management and career strategy, whilst also having a public profile, having appeared on a number of occasions on TV and radio as an expert in the football industry. Matt is a published author of the highly popular book, Show Me The Mon£y! – an insider’s guide to becoming a top level professional footballer (directed at parents and aspiring young professional footballers) which featured in the top 3 bestselling sports books on Amazon. Christopher acts for a broad range of clients within the sport and entertainment sectors and advises clients on a range of commercial, technology and regulatory issues related to the sports, esports, music and general entertainment industries. Christopher has experience acting for athletes, international talent, musicians, rights agencies, sports governing bodies, esports and sport tech and data companies. 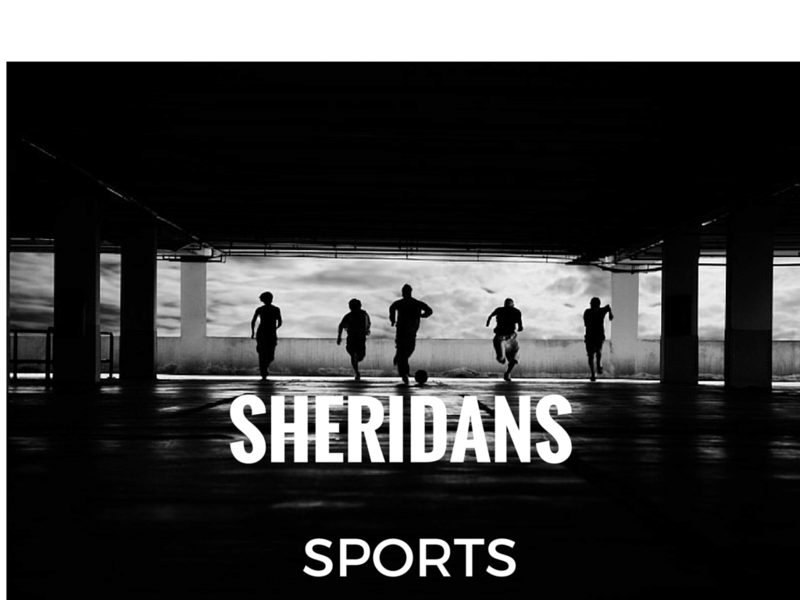 Alongside Jack Jones and Jonny Madill, Christopher leads the Sheridans Digital Sport Group, working with companies such as digital agencies, data analytics companies and sports technology start-ups. Prior to joining Sheridans, Christopher spent five years as a professional cricketer with Derbyshire County Cricket Club. Kleinman, M. (2012). Show Me The Mon£y! 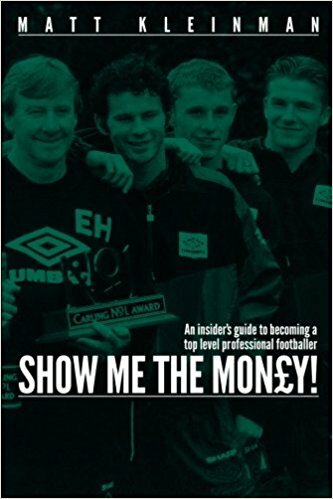 : An insider’s guide to becoming a top level professional footballer. CreateSpace Independent Publishing Platform.